You’d think things won’t be fun anymore once summer is over. But fret not, fall is also a great season for fun things to do in Napa Valley. Besides, it may actually be the best time to visit Napa Valley because when the weather gradually turns chilly the landscape will break its all-green uniformity with more interesting colors. Autumn is also the time to harvest the fruits. You can see the rich dark purple color of the red Cabernet Sauvignon grapes and the light green Sauvignon Blanc grapes dot the flame-colored vineyards, ripe and ready to be made into wines. Fall doesn’t mean that fun and activity have dwindled. Although the events lined up in the fall season may not be as numerous as in the summer season, you will still find plenty of them to enjoy. Another reason why fall may be better in Napa than summer is the amount of people in the area, therefore you have more opportunities to enjoy and discover places and events without the added inconvenience of so many others trying to go to or see the same things you are interested in. This season celebrates the rich bounty that the Napa Valley has to offer. Join in the celebration of the harvest by joining related events at various wineries such as the Summers Estate Winery, Farmstead at Long Meadow Ranch, Franciscan Estate Winery, Cornerstone Cellars, and other wineries where you can enjoy wine tasting/food (or cheese) and wine pairing, discover vintage and contemporary wines, and enjoy live music. Both longtime and novice wine enthusiasts will surely enjoy these events! Napa Valley also has other events that are popular for the fall season. These include, but are not limited to, several upcoming concerts, art and book launch events, different types of workshops, cooking classes, kid-friendly fun events, and lots more. Many of these events have a noble cause behind all the fun, and it’s nice to know that you’ve actually helped these causes along the way while you’re having a blast. You could actually have your hands full in the fall season! Fall is also a perfect time to go on a hot air balloon ride. With more interesting and incredible mix of colors that only Mother Nature can offer, what can be a better way to view it? Once you’re up in the air, you will see the vineyards each with a delightful burst of red, orange, yellow and green, dotted with dark purples and light greens from the ripening grapes which are ready to be harvested. You can even note the amazing color gradient of the neat rows of grapes from the golden yellow to almost maroon, while the ground is still covered with green grass. When you decide to go on this kind of adventure, choose Balloons Above the Valley (BATV). It is the first and premier company to provide sunrise hot air balloon rides for visitors in the Wine Country. BATV is known for their service and seek to provide customer satisfaction that is above the norm. Enjoy sunrise hot air balloon flights in any season; autumn is especially great for hot air balloons as they prefer cool weather and stable winds. Apart from the flights, you can also enjoy other perks and amenities from BATV including pre-flight breakfasts, post-flight brunches, luxurious transport from San Francisco to Napa Valley, last-minute shopping following the post-flight brunch, and so much more! Experienced pilots, friendly customer service, and safe and enjoyable hot air balloon flights — you can say that BATV is a veteran in this field as it has been operating for over three decades. 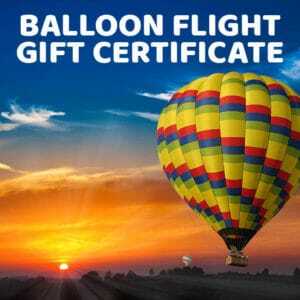 Balloons Above the Valley often receives positive and heartwarming feedback from clients as well as awards from several organizations, including the 2015 Certificate of Excellence from TripAdvisor. Riding a hot air balloon is one of the best fun things to do in Napa Valley. To ensure that it is the best experience ever, choose Balloons Above the Valley, a proven provider of safe and enjoyable hot air balloon flights in Napa Valley.